The little store on Harmer Avenue across the Fisher Park field has been a part of life for this part of Wellington Village for a long time. A surprisingly long time, as my research revealed. The store is now a take-out restaurant in the form of Carlo’s Pizzeria, which has a cult-following amongst many westenders (and many of my high school friends). 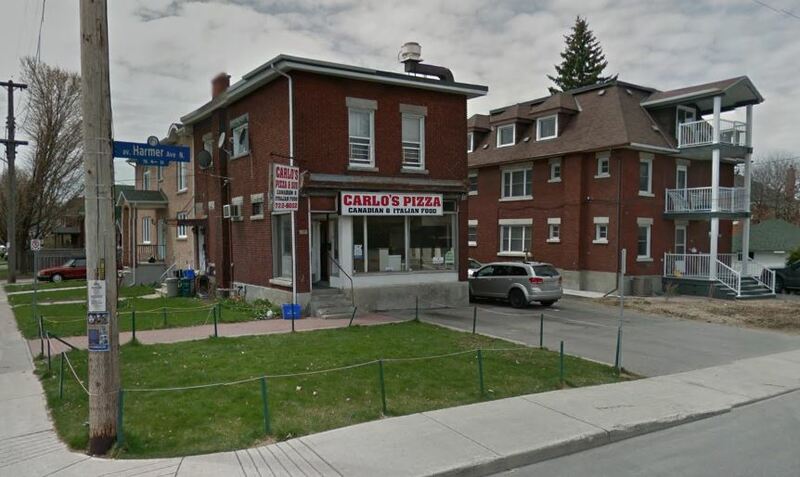 I love Carlo’s myself, but a part of me sure misses the corner store that was here until the late 1990s, which was a significant landmark for me as a kid. It was in just the right spot to assure you could pick up candy or a freezie after playing sports at Fisher, or if you ran extra-fast to school in the morning, you could sneak in a quick detour for candy on the way to class. As a 8 or 9-year old, there was a definite art to that, and a pride in its successful execution! The store probably holds similar memories for generations of Fisher and Elmdale kids I’m sure. And I think that’s what makes it all the more special, is that this store really was dedicated to the neighbourhood immediately adjacent to Fisher Park. For those living north of Byron, they would have had options on Wellington Street, and Fisher Park creates a natural barrier for those east of Holland. That’s not to say people didn’t come from beyond the immediate borders to shop at the store, but really it was a shop for the small Elmdale community. In fact, their only store; the only shop to ever exist between Harmer, Island Park, Byron and the Queensway. I wasn’t sure how old the store was, or what it’s history was. I actually assumed it may have only dated back to the 60s or 70s, and had been converted from a dwelling house. So I was surprised to learn that indeed it was built specifically as a store, and had been in operation as one dating all the way back to 1922! 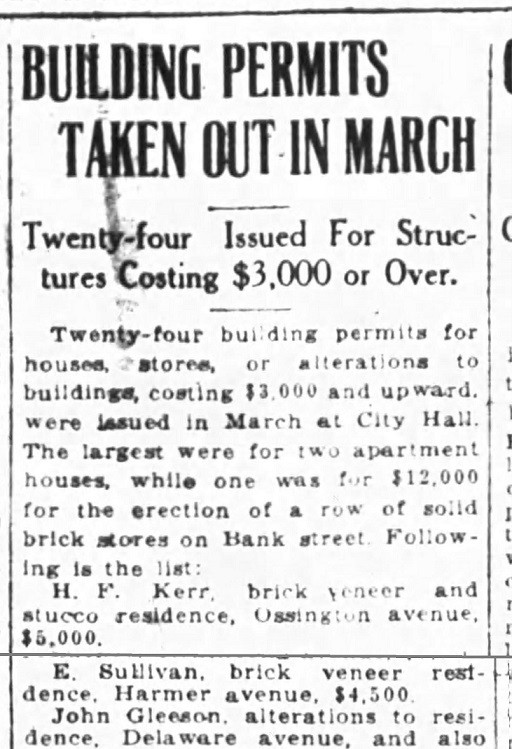 As I’ve written about before here, the neighbourhood first began with the incredible auction of lots in June of 1919 (more on that here: https://kitchissippi.com/2015/04/17/history-of-wellington-village-ottawa/). Telegrapher Joseph Ferdinand Turcotte purchased lots 2168 and 2169 fronting Harmer at the corner of Kenora, with auction bids of $325 and $350 respectively. 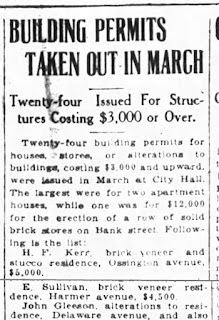 Two years later, in March of 1921, he flipped the lots for $75 total profit to Nepean bricklayer Frederick Hammond. A lot of real estate investing happened here during the heady days of the 1920s, as the hundreds of lots in the Wellington Village area were traded and sold like stocks. Occasionally, a buyer would actually build on the lot they’d purchased, and so this finally happened on January 4th, 1922, when Edward and Lillian Sullivan purchased lot 2169 on the corner from Hammond for $500. Edward Sullivan was 34 years old at the time (born in 1888) and had a varied career prior to opening the store. He and his wife Lillian had married in 1917, and he’d been listed as a “wood dealer” on the marriage certificate. The 1921 census listed him as a railway fireman, and directories showed he worked with the Canadian National & the Grand Trunk Railway. The Sullivan family had quite a presence on tiny Oxford Street in Hintonburg. Edward and Lillian had lived at 26 Oxford after marrying, next door to Edward's family home at 28 Oxford. Edward appears to have been one of the first of 11 siblings to marry; by 1921 there were still 7 Sullivan sons and 1 daughter all aged 18 to 32 years old, and living at home. All the boys were either weavers at the Capital Wire Cloth building on Hinton Avenue, or carpenters. Back to Harmer Avenue, the permit for the construction of 60 Harmer was taken out in March of 1922, and construction would have occurred throughout 1922. Sullivan himself, likely with the aid of his contractor brothers, constructed the building. Building costs were partially financed by a $1,500 mortgage that was registered in August. The store was complete and open for business by November 14th, 1922. That specific date is known because that was the date that the post office opened for the new neighbourhood, known as “Ottawa Sub #18”. Sullivan was the Postmaster, and here the new residents, who were just beginning to acquire key infrastructure such as sewers, water and sidewalks, could now also pick up their mail close-by. The shop functioned as a grocery store and general store, and like most of the shops of the era, did not have a name, it would have simply been known as “Edward Sullivan’s”. Sullivan corner store, from a Weston's Bakery ad. The Sullivans resided upstairs from the store, where they raised their two children (daughter Margaret born in 1921 and son Stuart born in 1926). Above is a photo of the store (in about the center of the photo). 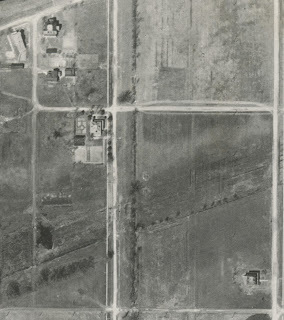 Harmer Avenue can be seen running top to bottom, with Kenora running to the right at the top, and the streetcar tracks and a very primitive version of Byron Avenue at bottom. There is a collection of little white objects near the corner of Byron, I can't tell what they are. But this photo shows the completed store, and the emptiness of the rest of the block. In August of 1925, with business going well, Sullivan acquired the vacant neighbouring lot to the north from Hammond, for $500, reuniting the pair of lots Turcotte had bought at the 1919 auction. Construction was completed by early 1929, and the Sullivans moved into the main floor of the new house, and rented out the 2nd floor of the store, as well as the top two floors of 58 Harmer, to tenants (including Lillian's sister Esther as their long-term tenant of the 3rd floor of #58). They continued to operate the store and post office at 60 Harmer. ad; I assume it was for some kind of delivery boy? 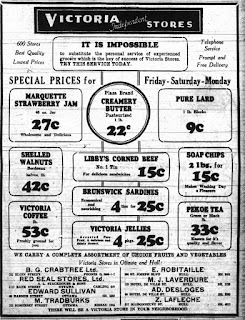 By 1932, the store had become part of the "Victoria Independent Stores" chain of 600 stores in eastern Canada from Ottawa to Nova Scotia, which conducted some manufacturing, but was mainly organized to centralize purchasing, distribution, merchandising and advertising. In 1932, the Sullivans had an agreement to sell 60 Harmer to Emile Otto Tobalt. Indeed Tobalt did take over operating the store on June 23rd, 1932, and did so until May 2nd, 1938. 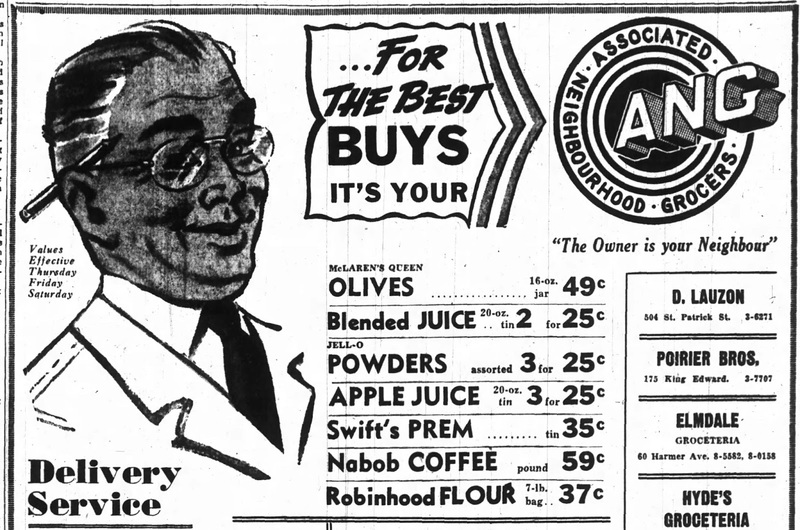 In the mid-1930s, he began using the name "Elmdale Grocery" for the shop, and this name stuck for many years. Tobalt would have a sad end to his life a few years later. While bicycling north over the Bank Street bridge on October 7th, 1949, the 65-year old Tobalt was hit by a truck which was trying to pass in a narrow space between Tobalt and a streetcar. He died from his injuries that evening. The truck driver, who claimed he was unaware he had hit a cyclist, was informed of the incident later that night. He was later charged with dangerous driving, but in the Spring of 1950 a jury found him not guilty after just 15 minutes of deliberation. In May of 1938, after Tobalt had resigned as postmaster and shopkeeper, Lillian Sullivan took over both roles. This may have been because her husband Edward had opened up two other shops in Ottawa: the O'Connor Service Store downtown at 120 O'Connor Street near Laurier, and a grocery-butcher shop at 1136 Carling Avenue near Fisher Avenue. Neither lasted too long, and by 1943, the Sullivans were out of the grocery store business altogether. They had moved up Harmer to #23 Harmer by 1937, and at this point were renting out the store and 58 Harmer next-door. In fact, these two buildings would remain in the Sullivan family until 1978. 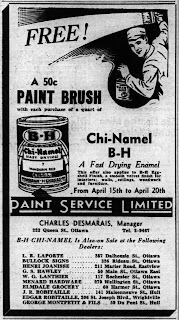 Paint at the Elmdale Grocery. On July 6th, 1942, the Sullivans left the Elmdale Grocery, and it was soon taken over by Walter Thomas Scott. He would take over as neighbourhood Postmaster as well, until the post office was shut down on March 3rd, 1944, and merged into the post office at what was then #1307 Wellington Street (J.N. Harmer's Drug Store at the corner of Smirle - now Petit Bill's Bistro). Scott's lasting legacy from this era is a story of selling overpriced eggs! 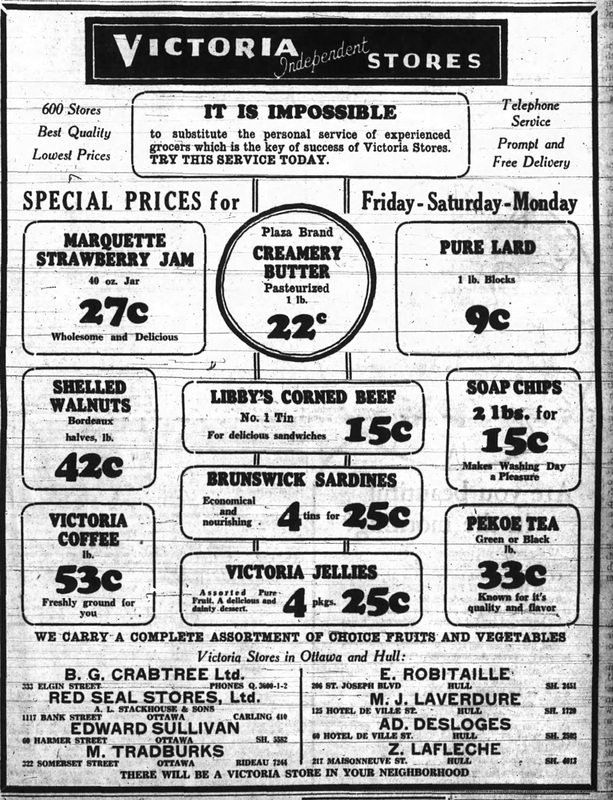 During wartimes, the Prices Board of Ottawa set caps on how much could be charged for certain foods. In November of 1942, Walter Scott was dragged into municipal court and charged with selling eggs at 65 cents and 63 cents a dozen (eggs could be charged no more than 60 cents per dozen). Scott claimed he was innocent "I really did not know I was breaking the law" he said, "I think the Prices Board bulletins are not as clear and concise as they should be for busy storekeepers." In January, the court set down fines of $10 plus $2 costs for each of the eight shopkeepers found guilty of this offense, including Scott. The Judge argued that though "there was no attempt on the part of the grocers involved to make any large profit...what they did do was not pay sufficient attention to the notices they received from the Prices Board." He did not feel a large fine was necessary, and chose to fine just the $10 as a warning. By mid-1945, the store was operated by Michael Vice, who resided at 52 Helena. 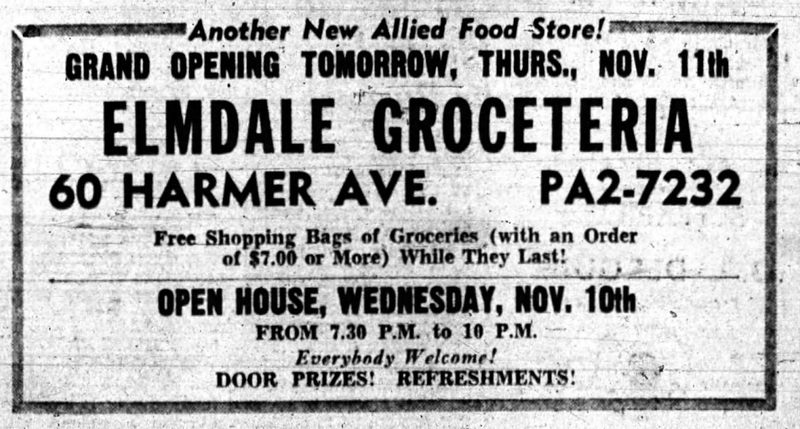 By mid-1948, John Bergeron was operating the store, which began to appear in ads and listings as the "Elmdale Groceteria". Bergeron sold meats and groceries. On December 28, 1951, Lillian Sullivan passed away. The property and buildings which had always been listed in her name, were transferred to her sister Esther and son Stuart. This seemed odd since Edward Sullivan was still alive, however grandson Geoff Warren explained that his grandfather Edward mysteriously disappeared around this time, and was missing and presumed dead for years. Geoff himself had been raised to believe that he had died. It was only after Edward actually died in 1982 (at age 94) that it was revealed to Geoff that three years earlier, Edward had been found by his children, living a new, secret life, with a wife and child in Quebec. An odd ending to the story of the man who built the impressive buildings at the corner of Harmer and Kenora. I was hopeful that the family would have old photos of the store, but nothing could be found. Geoff does still own a silver tea service that his grandfather had won through the store during the 1930s or 1940s, in a contest for selling the most bread. 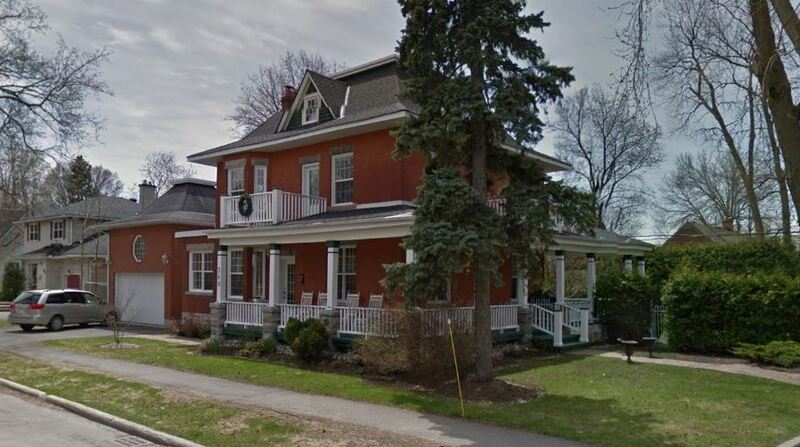 Perhaps one of the most interesting tidbits Geoff was able to share was the fact that around 1950, new neighbours had moved in next to the Sullivans on Harmer Avenue (this was when they were living at #23), and this young kid would be seen around their home often. This kid was Peter Jennings, future well-known ABC TV news reporter and host. Stuart Sullivan ended up owning the store and large house next door until 1978, but he always found shopkeepers to actually operate the store. In 1952, the store was being managed by Vincent O'Leary. 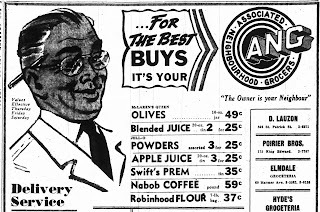 In July of 1954, chain grocery stores began to open up in major cities, including Ottawa, and to compete with this significant enemy of the neighbourhood corner store, many of the independent shops in Ottawa (40 in all) banded together and formed a local alliance known as Allied Food Markets, to use their combined buying power to purchase foods wholesale for lower prices, and to share in advertising and distribution. 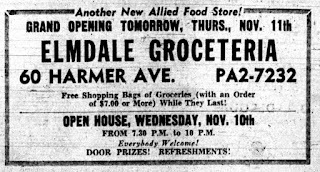 The Elmdale Grocerteria was not part of the initial group of 40, but by November had signed on, and a "Grand Opening" was held on November 11th. The store went through several minor changes throughout the following twenty years. In 1956, it became the "Parkway Confectionery", and was operated by Charles Dalglish. 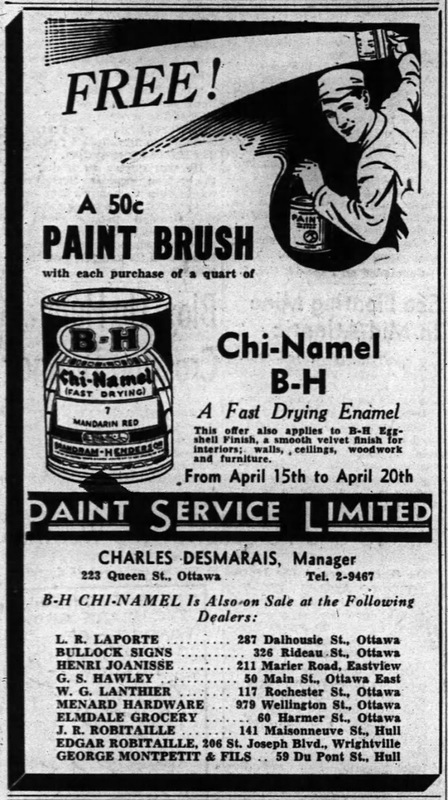 A lease signed in February of 1960 stated that commencing March 1, 1960, George Tannis Nesrallah had a 5-year lease for the store, paying rent of $960 per year. running left to right, and Kenora running towards the bottom. Nesrallah did not last long in the shop. In 1962, it was taken over my Mike Ayoub-Karam and his wife Mounira. Mike had been running Karam Confectionery at 115 Lees for a couple of years prior to moving on to Harmer Avenue. 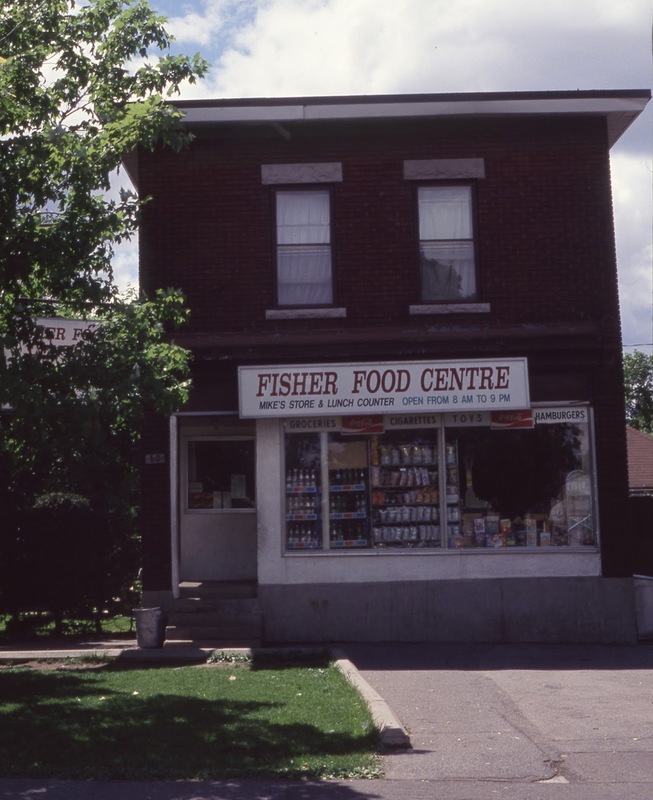 He quickly renamed the store "Fisher Food Centre", though it soon after became better known as "Mike's Store". On July 31st, 1978, Stuart Sullivan sold the store and house, having grown tired of the landlord business. Nephew Geoff Warren noted that his uncle was not an overly handy person, and always hired workers to do any work required. He also grew tired of the demands and complaints of tenants, and simply decided to retire early. He had been an appraiser with CMHC as a career, and could retire comfortably at the time. The new owners of the property were Mike and Mounira, who after being tenants for the past 16 years had obviously decided to buy the property for themselves. Mike and Mounira over their almost 30 total years in the shop would become very well known to the neighbourhood, and those of us who remember the store from the 1980s can't possibly forget them. The store became known as "Mike's Store", and it had a lunch counter, groceries, candy and anything else a kid could want. For me personally it was THE place to buy hockey cards, gum and candy. Mike had a hilarious personality, always joking, yet also a little crusty to scare away any kids who would attempt any horseplay in his store. What actually prompted this article to be written was that a few weeks back someone mentioned to me that they had stumbled across a video of Mike on Youtube. I didn't believe it until I saw it myself. Thankfully someone filmed a home movie during this great era of the store, showing Mike joking around at the store back in 1986, and not only has the tape survived, but it has been uploaded it to Youtube! I encourage you to check this great footage out at: https://www.youtube.com/watch?v=MEQ9fpy3KFM. What's great about it is this is exactly how I remember the store, and of course Mike himself. Here is a screencap from the video, showing the front of the store! Here is another vintage shot of the store, from 1991, during the final days of Mike's ownership. On November 6th, 1991, Mike and Munira sold the store to Masood Chavami and Mostafa Vahdaty. I don't remember the early 90s version of the store, and how different it became. I was sad to look-up and find that Mike died back on August 17th, 2003 at the young age of 63 from cancer. His obituary noted that he had 34 nieces and nephews, and 39 great-nieces and nephews, but no children of his own. Perhaps that's why he appeared to get joy out of running the store, that the kids of the neighbourhood were kind of the kids he never had. 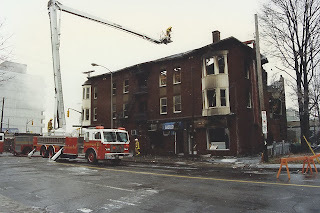 On December 10th, 1996, a large fire at the south-east corner of Wellington and Holland saw the total destruction of four businesses, including Joynt's Pharmacy and the original Carlo's Pizza. 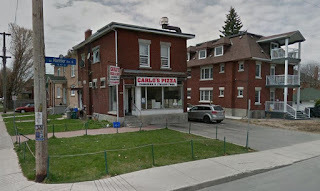 In 1997, Carlo's Pizzeria re-opened at 60 Harmer Street, and they have remained in this location ever since - now closing in on 20 years here. Still a hidden gem in the west end, well-loved by its many regular customers. What an interesting 95 years this building has experienced, and as recently as 2005, the owners built an extensive residential addition onto the back of 60 Harmer (3 Kenora Street), indicating that the restaurant and store likely still has quite a number of years of life still to go. I can't imagine the neighbourhood without it! 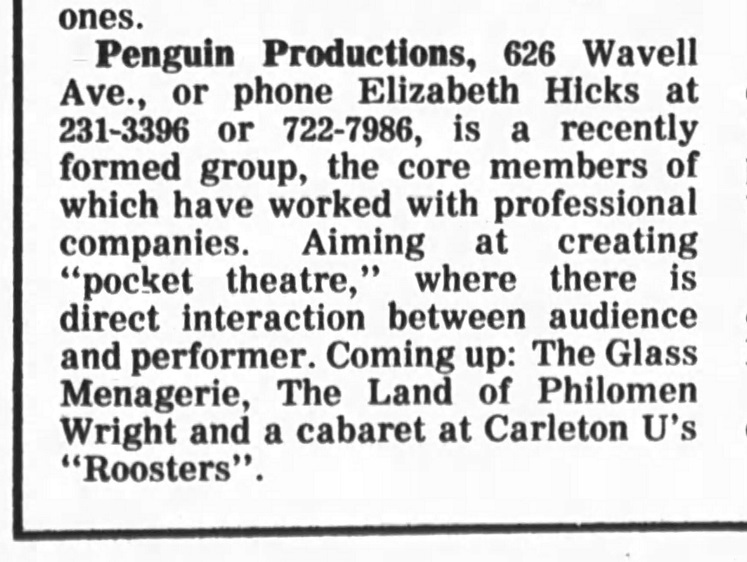 *** Edit: Not long after I posted this article, James Hale posted to the comments section noting that he had written about the store for Ottawa Magazine back in 1984. I managed to track down a copy of his column "Citylife" from the August 1984 issue, and have posted it at this link: http://imgur.com/a/tqFpD Thanks James, great article! Live events this coming weekend! I'm overdue to promote these! There are two great events coming up this weekend which I will be participating in. Everyone is welcome to attend, and I encourage you to come out to both! On Friday night from 6-9 p.m., I will be the storyteller at Maker House on Wellington (987 Wellington Street West) for an event called "Around the Campfire", There is lots to check out that night - aside from the cool creations for sale at Maker House, there will be free craft beer samples, live music, and I will be sharing stories/photos/artifacts throughout the evening. Then on Sunday (weather permitting) I will be setting up a table of photos/artifacts at the McKellar Park Fall Festival! This event runs from 10:30 to 2:30, and I'll be there at opening until at least 1:00! Lots of family/kid things to do, and its all in support of the McKellar Park Community Association. So if you missed me at Tastes of Wellington West last week because of the rain (that was my biggest set-up yet, so it pained me to have to dismantle it quickly in the rain after only about 90 minutes), then here is another chance to drop by and view some of the stuff I'll have on hand, and say hi. And I have about three articles about 90% finished, which I am really excited about sharing, so look forward to a few blog posts here in the coming days! My article in the Kitchissippi Times this week is a neat one. I am a former Nepean High School student, and participated in the school's 75th Anniversary celebrations in my last year of high school way back in 1998 (they actually entrusted a 17 year old kid with the coordination of the history & nostalgia displays), so all the way back then I started doing research into the earliest days of the school. I recently had a chance to research even further back in time, to how the school actually came about. The result is the story that the high school classes actually first began in Westboro in 1916 - exactly 100 years ago this month. And not only that, but a class photo of that original class (with all nine of its students) survives. So it naturally made for a great article for the Times this month. I tried to cover some of the things I had wondered myself: what the difference is between 'Collegiate Institute' and 'High School', what advanced education options did students have in the 19th century, what other locations were considered for Nepean High School, etc. 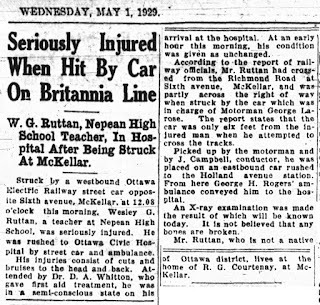 So all of that is covered in this article, which tells of the birth of Nepean High School (a big celebration no doubt will be had in 7 years in 2023 when the school officially turns 100!). The Museum Goes Live! Saturday September 17th at Tastes of Wellington West! On Saturday September 17th, I'm happy to announce that the Kitchissippi Museum will be LIVE! I will be set up for the Tastes of Wellington West event from 11 a.m. until 3 p.m. with a huge amount of different things to share. As always, I'll have hundreds of old photos to look through, copies of old maps, documents, other neat things. On display will be a few 36x24 framed aerial photos of the neighbourhood (including one recent acquisition that is an incredible shot of Wellington Village from 1974, an oblique 'bird's-eye-view' at a low elevation. It's a clear and detailed, colour view down Wellington Street and the streets running off of it). One of the main highlight's for September 17th is that I'll have on display an original fire alarm box! For anyone born after about 1960, this is likely something you've never seen before, and probably never heard of! Until the late 1960s, every neighbourhood had these large boxes installed on pedestals or poles which were connected with the local fire stations. When a fire or emergency was discovered, someone would open the little door and pull a lever which rang the alarm and sent a signal to the station, bringing the fire department to the neighbourhood. The box I have was located at the corner of Woodroffe and Carling Avenue, potentially from about the mid-1920s until they were all removed in the late 60s. It is a complete box with all original parts. This is a very cool piece of vintage Ottawa history, and I'm happy to have it have it to share on the 17th! 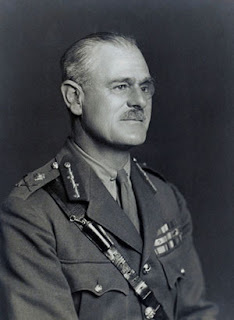 Name meaning: The street is named for Sir Archibald Wavell, who was a senior officer of the British Army. He served in the Second Boer War, the Bazar Valley Campaign and the Great War, during which he was wounded in the Second Battle of Ypres. He served in the Second World War, initially as Commander-in-Chief Middle East, in which role he led British forces to victory over the Italians in western Egypt and eastern Libya during Operation Compass in December 1940, only to be defeated by the German Army in the Western Desert in April 1941. He served as Commander-in-Chief, India, from July 1941 until June 1943 (apart from a brief tour as Commander of ABDACOM) and then served as Viceroy of India until his retirement in February 1947. His rank at retirement was of Field Marshal. How named: The avenues of McKellar Park originally all had numbered streets. In anticipation of the neighbourhood being annexed to the City of Ottawa, it would be required that street names be changed. As well, it was the patriotic thing to do at the time, to rename streets after heroes of WWII. Nepean Township Council selected these new names and passed Bylaw 24067 on April 8th, 1944, officially making the changes. Sixth Avenue thus was patriotically renamed at this time to Wavell Avenue. 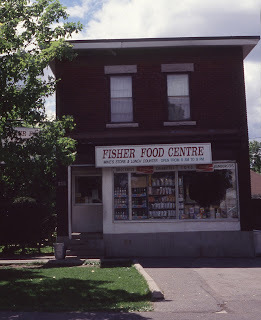 The history of the early days of the McKellar farm and neighbourhood I detailed in a previous article on Fraser Avenue (please see: http://kitchissippimuseum.blogspot.ca/2015/01/street-profiles-history-of-fraser-avenue.html). 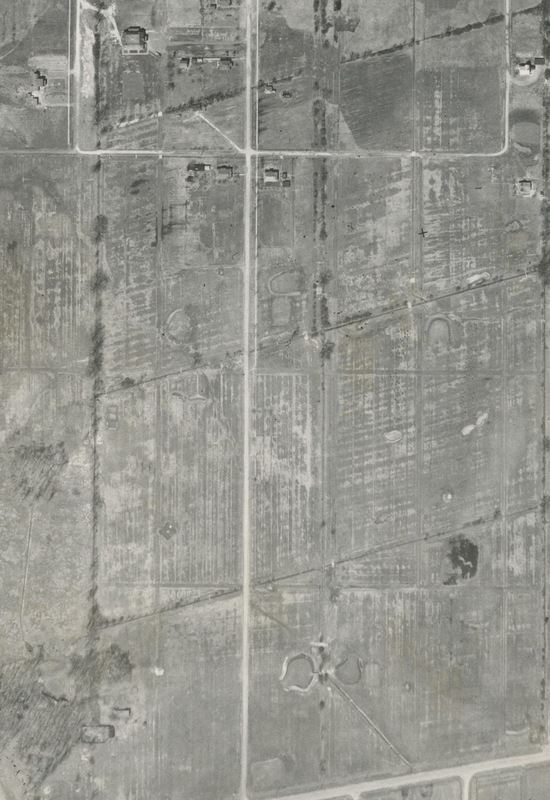 So this article will cover the specific history of Wavell Avenue itself, commencing after the McKellar Farm had become a residential subdivision. This article will also feature an additional emphasis on the McKellar Park playgrounds and fields, which are of course so closely tied to Wavell Avenue. Wavell Avenue developed extremely slowly, perhaps more slowly than any other street in McKellar Park. 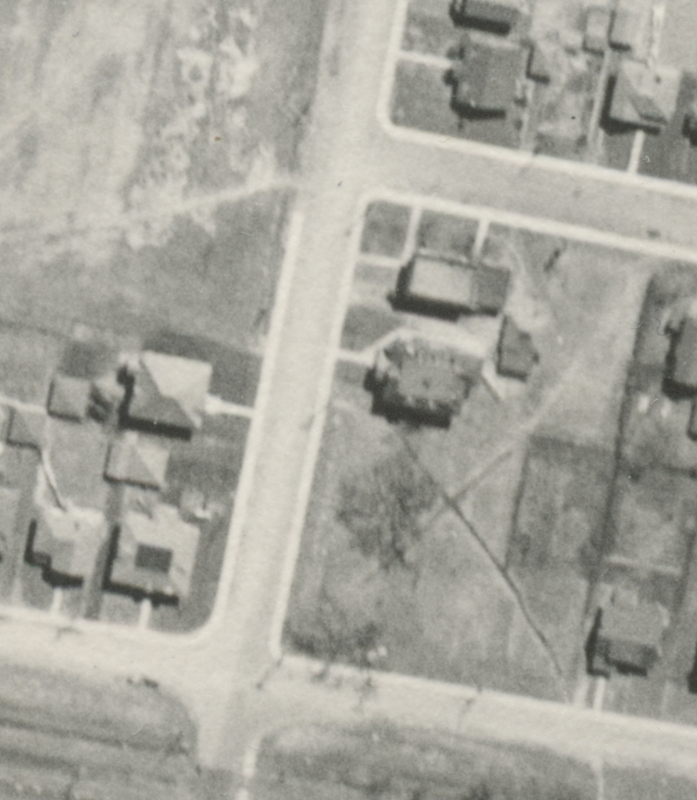 In its early days as Sixth Avenue, it featured really only two houses on it until the mid-1940s! 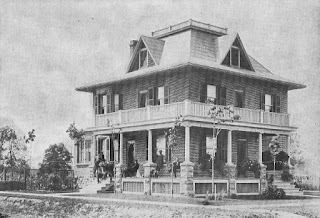 Lots went on sale by the McKellar Townsite realty group in March of 1911, and the first sales began to be registered in June. The first lot sold on Wavell (Sixth) Avenue was lot 942, now the location of 530 Wavell Avenue (though #530 was not built until around 1950). This lot was sold to Daniel Robertson for $450, who three days later also picked up the neighbouring lot 941 (532 Wavell's lot) for $500 (the $50 premium must have been for the corner lot location), One other lot was sold in June, lot 945 (514 Wavell at the southwest corner of Byron) to J. R. Breckenridge. The first house built on Wavell was what is now 540 Wavell Avenue. It was constructed in the summer of 1912 at the corner of Sixth and Wilton (Wavell and Crossfield) by Mr. Albert Edward Wright, a 48-year old conductor with the Canadian Pacific Railroad. He was one of the first investors in to the McKellar Townsite project, acquiring three lots on the west side of Sixth Avenue at the corner of Wilton, on October 23rd, 1911 for $1,250. He sold his family home on Somerset Street in March of 1912, and construction of the new home likely began in April. However, this story has a sad twist, as in January of 1913, likely before the house was fully complete, Mr. Wright's wife Emma died at home of heart failure at the young age of 49. Albert E. Wright would later remarry, and the family remained in the house until selling in 1923. 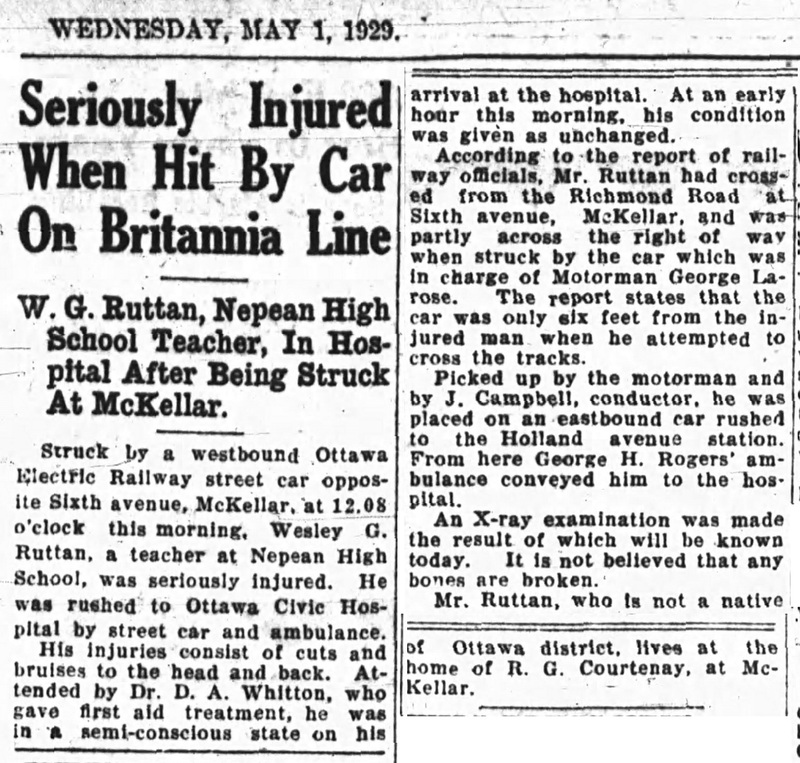 Wright would go on to work for CPR for 42 years, becoming chairman of the Order of Railway Conductors, and was a respected member of many fraternal organizations in Ottawa. A promotional postcard by the McKellar Townsite issued around 1915 shows the Wright home in its original glory, with not a thing around it! 540 Wavell Avenue, circa 1915. Lot sales on Sixth Avenue would continue slowly. 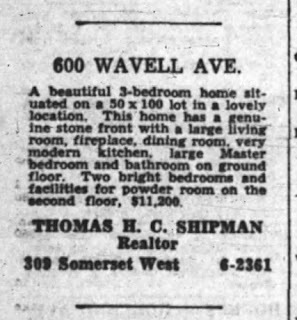 Beyond the four purchases in 1911 mentioned above, Erasmus Earle purchased lots 936 and 937 (the site of 554 and 556 Wavell) in October of 1911, three lots were sold in 1912, none in 1913, one in 1914, and none again in 1915. Real estate agent William H. Tate constructed a large home in 1914 at the bottom of Wavell fronting Byron, actually at the corner of Courtenay. But of course this doesn't count as a Wavell house. The second house on the street was completed in early 1918, on lot 920, built by Thomas Magee, a 48-year old salesman, for his 7-person family. The home was constructed slowly, starting life as basically a small wood cottage. It was expanded on gradually over the first few years, perhaps as Mr. Magee could afford to enlarge it. It later became the long-time home of the Bedford family. Incredibly, this house survived until 2008, when it was torn down and replaced with a large new build, at 626 Wavell. 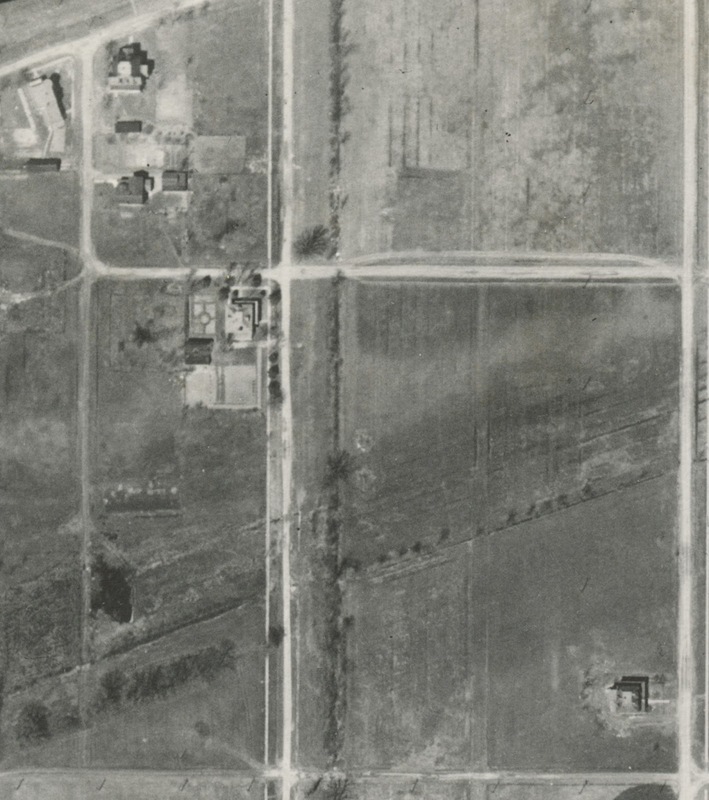 The view below shows Sixth Avenue in 1920, from the earliest set of aerial photos I have ever found of west Ottawa. It shows great detail of the street. Richmond/Byron is at right, and the street impressively has a completed sidewalk on the west side of the street running from Byron to the Magee house. which was located just north of Dovercourt. Beyond Dovercourt there is some small structure that is visible (there is also another to the west where Courtney would run), but I have no idea what they were. It is not golf course related, because the course did not arrive until 1927. The Wayside Inn on Richmond Road can be seen at the far north end. That old mansion house stood until the 1970s at the foot of Wavell, looking directly down the centre of the street. The biggest highlight for Wavell Avenue during the 1920s, was the addition of the McKellar Golf Course in 1927. The course played to Courtney Avenue on its western border, Carling on the south, halfway between Keenan and Dovercourt to the north, and to the back of the Fraser Avenue property lines on the east. The Magee house sat on the edge of the course, and in fact the 16th green was in their backyard, and the 17th tee was just to the south. I'm sure Jean and Phyllis Courtenay, the widow and her daughter who had moved into the home around 1926-1927 (and subsequent families) were able to sit out on the front porch and watch golfers tee off from just a few feet away. The clubhouse was built in early 1927, and fronted onto Gainsborough, where 614 and 618 Gainsborough now stand. It would also have backed onto Wavell Avenue, situated at the rear of the lots where 613 and 617 Wavell now stand. A little has been written about the golf course already (you can read Bob Grainger's excellent article about it here: https://kitchissippi.com/2014/05/01/mckellar-park-golf-course/), and there is even more to be written about the golf course (I'm working on an extensive article about it now, to be published sometime this fall, so I'll save the details for that). Below are two photos of McKellar park from 1928, taken from an aircraft at an oblique angle. I love these photos because it shows so much detail of the area! (Click on any photo to enlarge it, or I encourage you to right-click and save to view off your computer, which will allow you to zoom in a little more). The first photo shows the detail of all of McKellar Park. You can see Nepean High School and Broadview in the background. That is Crossfield coming down the left edge of the photo. The Wright house (540 Wavell) is the larger white-roofed house towards the bottom left corner (where Crossfield ends). If you follow that to the right, then you'll eventually get to the golf clubhouse near the right edge (white building with two large distinct windows on the back side). Dovercourt (then called Balmoral) can be seen running off at the right edge. The photo below was taken on the same day, but from a different photograph (closer up). It doesn't show the detail as far east (Nepean and Broadview aren't shown), but it does give clearer detail of Wavell. The photo starts at the River at left, then the large Wayside Inn can be seen, the Tate house on the south side of Byron, then Crossfield and the Wright house again. The golf clubhouse is out of view in the photo. The photo below is from the same series of photos, but showing Wavell and the golf course. So the Magee house is at the top left corner, and the golf clubhouse is across the street and a bit to the north from it, at the top edge. Fraser Avenue is at the far right, and Carling Avenue is at the bottom. Keep in mind this photo was taken in early May, so it was before the grounds were manicured for the season. But you can definitely see distinct markers of the greens and tees throughout the McKellar Park area. most of the golf course. 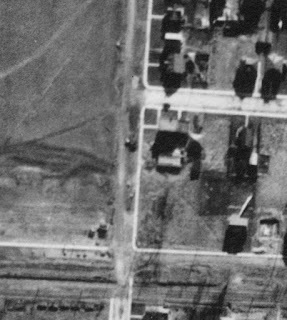 In the early 1930s, foundations of some kind were built at the far south end of Wavell on lots 873 and 874 (about near where Lauder Drive runs now). They are both visible near the bottom left corner of the photo above. 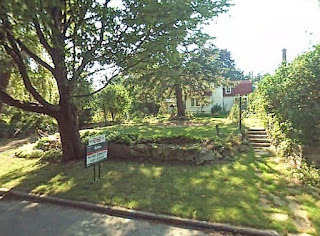 No further construction occurred on these lots, and it is unknown why their owners J. H. Ralph and Frank Longhurst, had started building on them. 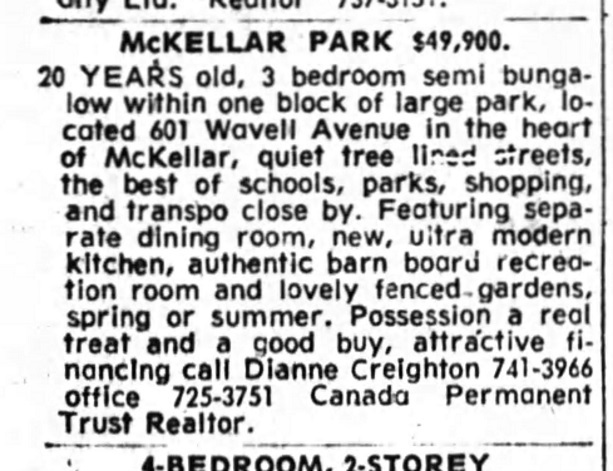 It's also important to note that in 1934-35, in the thick of the depression, with the market for lot sales and home building completely dead, the McKellar Townsite Company which had subdivided all of McKellar Park and created the neighbourhood, gave up. The property taxes due on all of their unsold properties began to accumulate, and the amount was significant. The company decided, with no end in sight to the depression, that it was easier to surrender their property to Nepean Township and walk away. Thus Nepean Township seized ownership of 27 of the 58 Wavell Avenue lots north of Dovercourt due to unpaid taxes. The problem would grow worse. By the mid-1940s, with WWII having further affected the economy, the entire east side of Wavell up to the golf course land had been surrendered to the Township. All of the individuals who had purchased lots during the decades of the 1910s and 1920 with the dream of building their own home, or making money off of a real estate investment, gave up on those dreams. They all deemed the property to not be worth the $20-$30 of taxes each year to carry. However, this sad turn of events for so many individuals would as a result lead to the then-unintended scenario of a large quantity of undeveloped land being available for required park space. But more on that below. 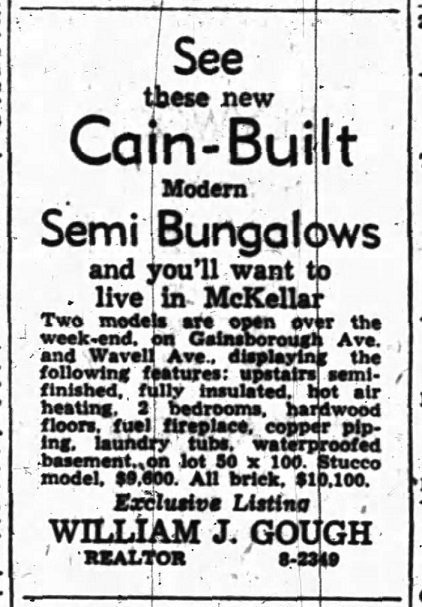 Just to show the still-rural/resort type of existence that McKellar Park still had by the late 1930s, below is an ad run advertising a room for rent during the summer on Sixth Avenue, under the "Summer Resorts" category. It was in April of 1944 that Sixth Avenue became Wavell Avenue. At the time, there were still just the two houses on Wavell. In early 1946, construction began on the house at the corner of Byron (834 Byron), built for George A. B. Read. Certainly after WWII, real estate in Ottawa began to take off, as an atmosphere of optimism, positivity and patriotic pride took over. Technological advancements during WWII led to improvements in all areas of life. The civil service was increasing in size significantly. And thousands of returning soldiers needed jobs, and of course, homes. 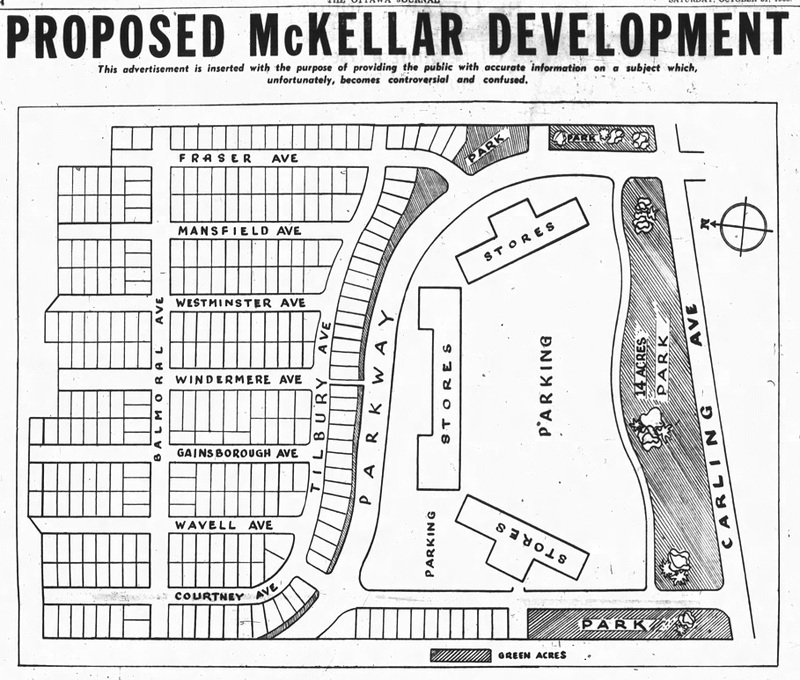 Thus it was in 1948 that the McKellar Park area really began to grow. Nepean Township was willing to sell land for next to nothing (literally next to nothing - in some cases the Township were selling lots at $25 and $50 each! ), with the promise to immediately build on the lot. The incentive for the Township being that having houses built would mean greater tax income. 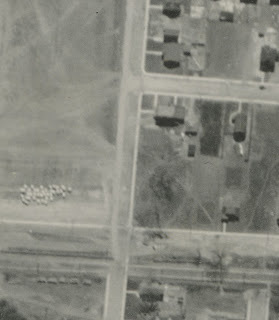 The first block of new houses were built up just south of Keenan, in late 1948. The 1948 Fire Insurance Plan view of Wavell (which is actually updated to early 1950) is shown below, and shows the new houses on Wavell by Keenan. Houses in yellow are wood-frame construction, blue is stone or concrete block foundation, pink indicates brick. Each house is shown in its approximate location, with its approximate size. The numbers within the box indicate number of storeys, type of building (D=dwelling) and roof type. Annexation was a significant event for McKellar Park, as on January 1st, 1950, the neighbourhood became part of the City of Ottawa. The story of annexation is a long one, and best saved for a future post. But the next section of this article will detail one of the fallouts from the agreement for annexation, as establishment of utilities infrastructure was a key reason residents opted to join Ottawa. 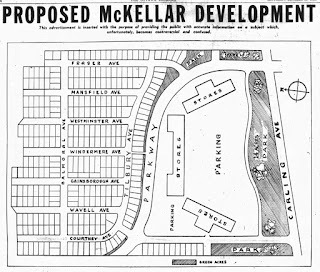 In anticipation of annexation, the McKellar Park Ratepayers Association voted in December of 1949 to change their name to the McKellar Park Community Association, so as to include all residents, not just those who paid taxes. As part of the agreement for annexation, Nepean Township was required to acquire and prepare playground land in each neighbourhood of the portions of Nepean to be annexed to Ottawa. Nepean Council had shortages of available land, and in some cases had to provide smaller areas than required, even going so far as to reclaim old swamp land and package it as park space (i.e. the area we now know as the Dovercourt Community Centre park, was known as "Cole swamp", and had to be purchased by the Township for $5,000). Nepean could not put together sufficient space in two areas, Highland Park and Carlington, so Councillor Ernest Jones, who was also chairman of the city's playground committee, noted that Ottawa should move quickly to acquire land in those fast-developing communities soon. 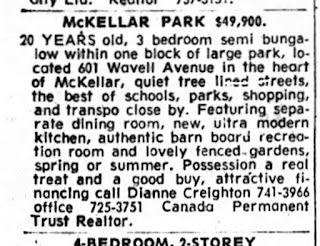 In April of 1949, the 15 parcels of land which Nepean would hand over to Ottawa were announced, and on that list was what we now know as McKellar Park (the park space itself). The grounds were described as being in a "well-preserved and well-drained condition". The site was ideal, and made possible by the coincidence that no house had ever been built on the land, and that all landowners had surrendered their property to the Township during the 1930s. Had even one house been built in this area, or if a vacant lot owner had refused to sell, its possible that another site may have been chosen for the park. In November of 1950, it was announced that the ice rink and playground facilities at Woodroffe (adjacent to the public school) was to be moved to McKellar Park. A lack of available water was given as the reason; water sufficient only for the school purposes forced the Ottawa playgrounds committee to find an alternate site, and any potential spots in the immediate Woodroffe area were deemed to costly to develop. The public rink facilities which came to McKellar included a public address system, skating circle and hockey rink, which was to be set up at the north end of the park. Soon after annexation as well, the city built a recreation building, a swimming pool designed for tots and elementary school children, and laid out two baseball diamonds. 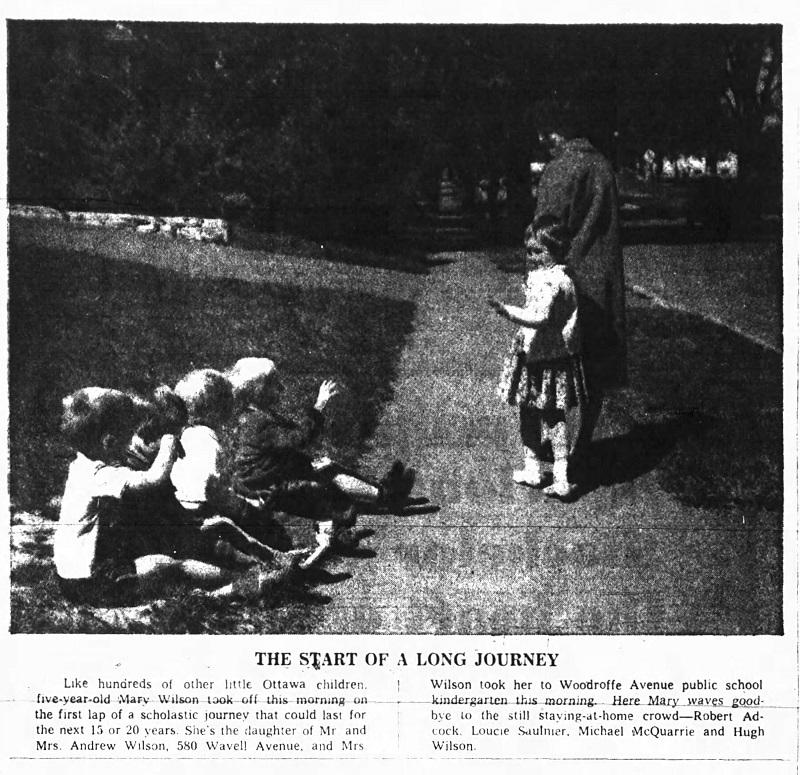 As reported in the Journal in 1963, McKellar Park was one of the first associations to be handed control over the park, the recreation building and the programming. 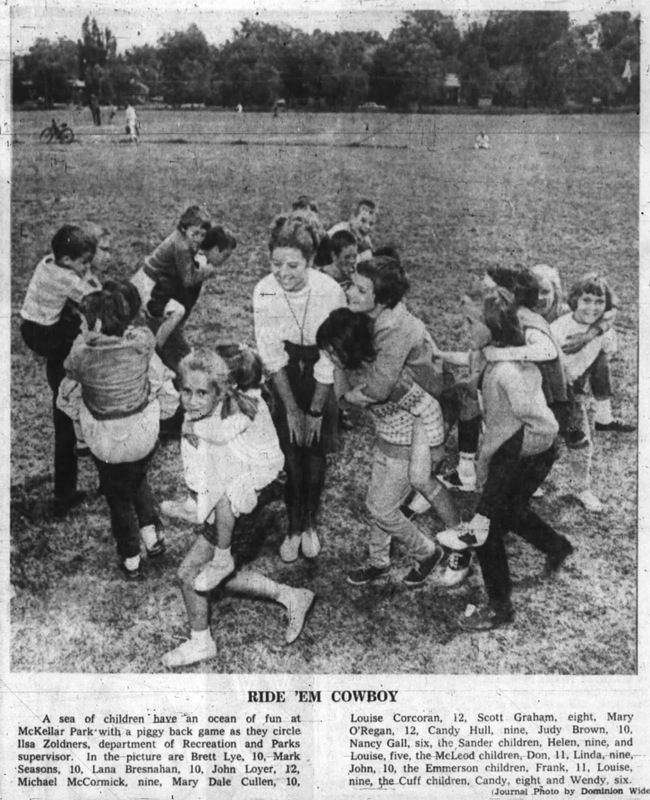 This apparently happened in 1954, as an experiment to see if a community association could take over the duties of the city's Recreation and Parks Department. Tennis courts were added later, sometime in the late 1970s or early 1980s I believe. In May of 1983, the Community Association received $7,500 funding from the City towards their $13,262 project to install playground equipment for children. Part of the project included that the residents themselves would install the equipment, under the supervision of a foreman from the manufacturer, saving the city $2,647. One of the key promises of annexation was the arrival of water and sewer to McKellar Park. Up until 1950, neither existed in most of the neighbourhood. Residents obtained water from wells, and used outhouses on the back corner of their property. Storm and surface water was carried away through informal ditches and holes which were both dangerous and unhealthy. From several news reports of the era, Wavell sounded especially bad in terms of open pits and stagnant water. Thus in April of 1950, it was announced that water mains would begin to be installed by the City Water Works Department to the area of McKellar Park north of Dovercourt (i.e. north of the golf course). This would supply city water to 600 new households, from Denbury to Wavell, north to Byron. This was actually made possible by the erection of the old elevated water tower behind the Royal Ottawa Hospital, which could hold 750,000 gallons of water. The tank was first put into use in May of 1950, and still stood until just a few years ago. The tower was required because the Lemieux Island plant was already working at capacity, and could not have handled the extra load required of the McKellar Park neighbourhood. A reservoir built in Carlington a couple of years later would further assist as the city continued to grow west and south. 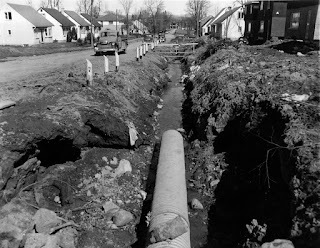 The fall of 1950 saw the work begin on the excavation of trenches down Wavell, and the installation of 6" cast iron water mains on Wavell from Byron to about 200 feet south of Keenan (the property line between 605 and 609 Wavell was the limit). In 1951, plans were made to install sewers, and in fact the main sewer trunk was to run down Wavell Avenue (hence why it was and likely still is referred to as the Wavell Avenue Storm Sewer), with branch lines connecting to the other streets, and an outlet running under Byron and Richmond to the River. However, it was not easy. The cost of the sewers became a hot political battle. The City of Ottawa argued that abutting property owners should pay a large percentage of the total cost, calculated per foot of lot frontage, which differed from their usual (pre-annexation) policy that the city paid the full cost for sewers. It also went against the agreement made prior to annexation that residents believed had been made, whereby the property owners would not be charged. The estimate on the project was $566,500 for 51,500 lineal feet of sewer. The benefiting property owners would be required to pay $338,255, or $2.79 per foot frontage charge, the City would pay the rest. Despite the fight by local Alderman Howard Henry and the McKellar Park Community Association, the City won out, though it would be a battle waged for two years until they were installed finally in the fall of 1953. The McKellar Golf Club was last played on in the fall of 1952. In the spring of 1953, the owners announced that the 80 acres of land would be put up for sale. Many potential buyers put in bids, including one for a major sports centre with swimming pools and tennis courts. Many residents argued the City should purchase the land and keep it as a golf course or at least park space. However, on May 22nd, 1953, much to the shock west Ottawans, it was announced that a syndicate (Principle Investments from Toronto) had purchased the land for $300,000, and had plans to build an enormous shopping centre on the property, with parking spaces for 2,640 cars. In November of 1953, the syndicate sold 100 lots to a Toronto-based developer called Community Housing Projects for $250,000, nearly the full price they had paid for their entire 80 acre purchase only months earlier. Home building started south of Dovercourt in early 1954. Meanwhile, within a year, the company had backed down on their intentions to build the large shopping centre, and instead began selling lots to developers as per the original McKellar plan. Soon after it was announced they had acquired more land to the west, and in 1956 completed Carlingwood Mall. But it is shocking how close Carlingwood came to being built where streets like Sherbourne, Wembley and Lauder now run! 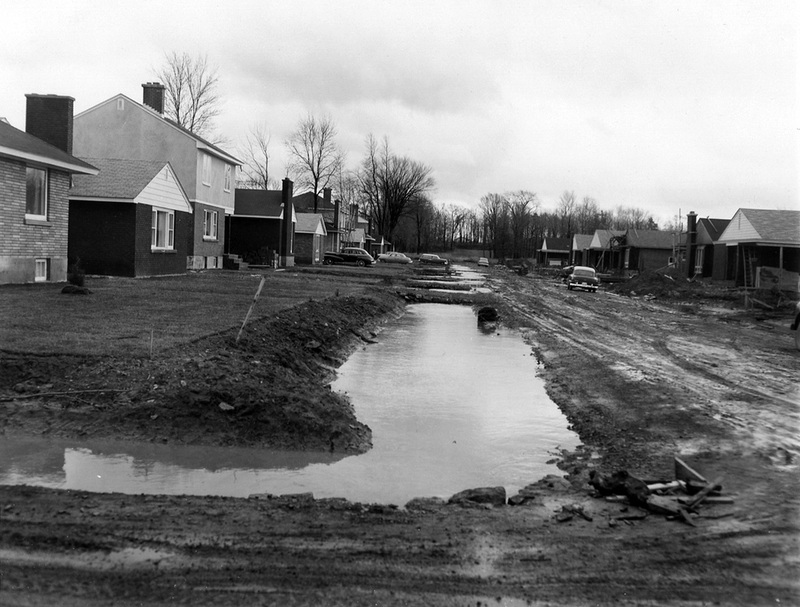 By 1955, construction on Wavell was in full swing. 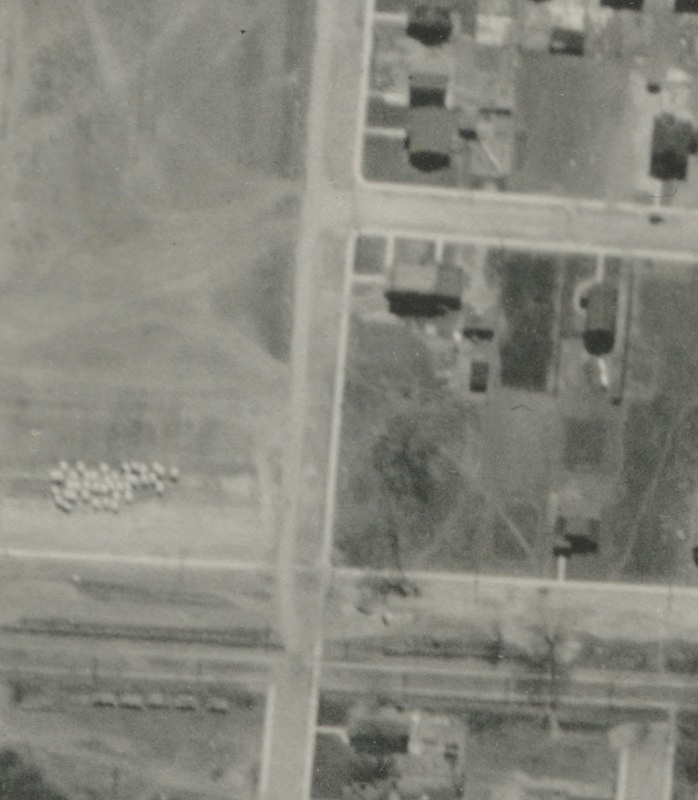 Essentially by 1957 the street had a house on just about every lot, including south of Dovercourt. 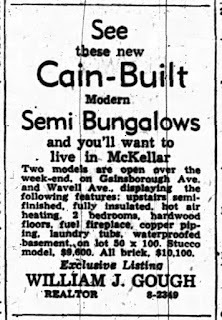 The ad below is from the fall of 1955 when the construction was going full bore. Dugas Construction (run by Henri Dugas) and Leroux Construction (run by Wilfrid Leroux) are mentioned as the builders on Wavell, and certainly both were responsible for the construction of many houses in the west end in the 50s and 60s, particularly in the Britannia Heights neighbourhood. Meanwhile the water mains and sewers were installed to the new growing portions of Wavell. In June of 1954, it was announced water mains would go in on Wavell south of Dovercourt, at $3.62 per foot for frontage. 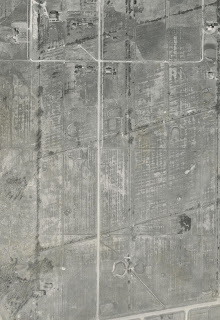 In 1956 sewer pipes south of Keenan were laid to connect to the original line. The photo below was taken on Wavell a week later, but facing south from the corner of Dovercourt, showing the drainage ditch, the raw conditions of the road, and all of the new houses on Wavell. Wavell at Dovercourt south-east corner drainage ditch. Storm sewer drainage plans were announced in December of 1956 for the southern portion of Wavell (south of Dovercourt), at a cost of $383,200 (the main drain ran from Dovercourt to Tillbury, then east on Tillbury to Broadview, then to Carling), homeowners paying $2.79 per foot frontage. The contractor given the job (Strano Construction) by the Board of Control to install the storm sewers was fought against by Alderman Henry who argued that they were incapable of doing the job, and cited a job the contractor had done the previous year with one broken down truck and one backbone. "As far as I know, that contractor's status is now approximately the same as it was then." he added. He was skeptical of the low bid for the job, and wanted his capabilities better examined. Presumably all went well with the work, as there are no other stories related to this job. In June of 1959, tenders were opened for the asphalt paving and creation of curbs on Wavell from Keenan to Byron, and also a sidewalk on this portion of the street (but a sidewalk just on the west side of the street). You would probably not expect that any commercial businesses had been operated on Wavell Avenue over the years. As a strictly residential street, that is mostly true. There is evidence of a couple of small businesses operating on the street, one for a fairly long period of time. 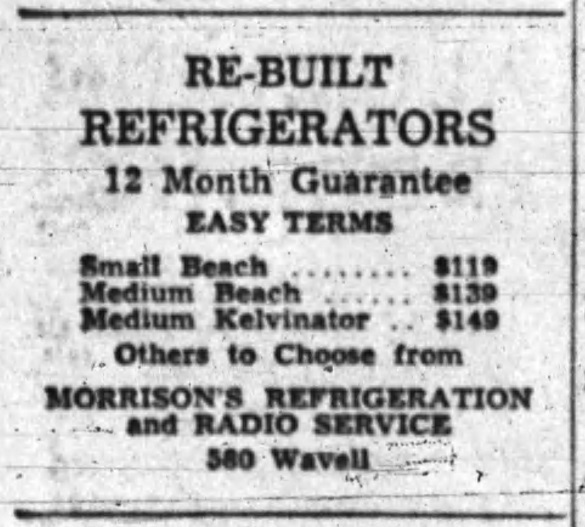 Morrison's Refrigeration (early on called "Morrison's Refrigeration and Radio Service") operated out of 580 Wavell, I assume mostly out of the large attached double-garage that exists there now. The business was operated by Jack Morrison, starting in 1952. Morrison's must have handled a fairly large amount of sales and service, it could afford to run newspaper ads almost daily during this period. In 1964, Jack moved the business to 257 Preston Street, and later Stirling Avenue. Two other business comes up in searches. 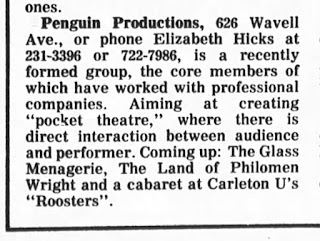 One was "Rent-a-Floral", a flowers business at 663 Wavell in the early 1970s, and the second was Penguin Productions, which operated out of 626 Wavell (the Thomas Magee house) in the mid 1970s. 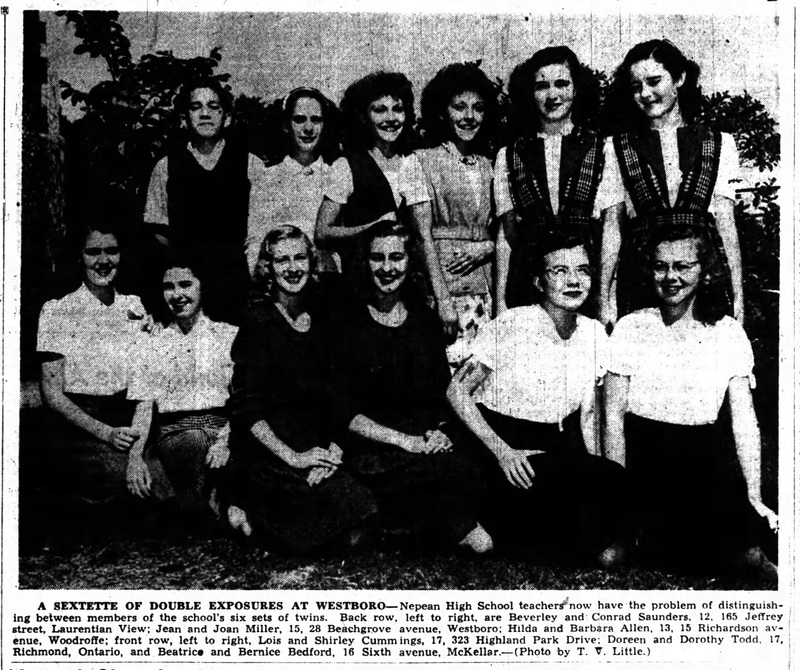 In the fall of 1946, it was discovered that there were six sets of twins attending Nepean High School! One of the pairs were Beatrice and Bernice Bedford, who resided in the Magee-built house. 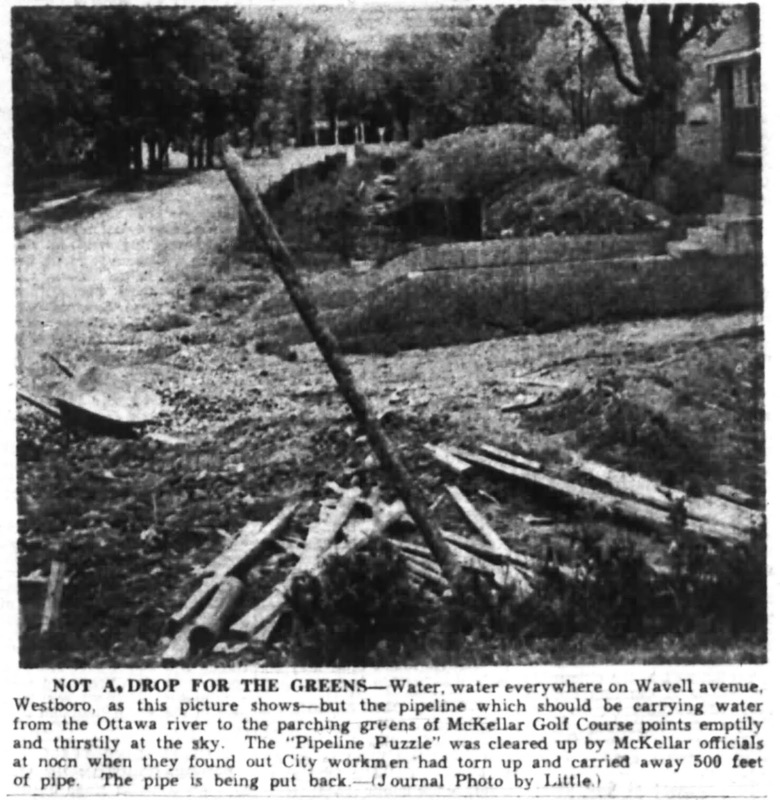 In May of 1951, the front page news in Ottawa was the mysterious disappearance of 500 feet of pipe which cut off the McKellar golf course from water, leaving the greens dry and damaged, and the golf club threatening law suits against the City. The missing pipe was later found in possession of the City Works Department. The pipe line had been installed by the Club years earlier to the River, to supply water for the greens. Water was pumped into the intake at the River's edge, through the 3" iron pipeline to the golf course. Club officials were stumped when the saw that pumping equipment was working fine, but upon investigation found that the pipeline had been cut and removed at Wavell. A huge ditch had been dug and the pipe removed. A series of calls to various departments in the City found no answers until finally it was discovered that a work crew installing a drainage ditch had removed the pipe, knowing no city pipe to exist in the area, and believing it to be decommissioned. The photo below was published when local residents complained of the inconsistency of the sidewalks on Dovercourt Avenue, and the dangers it posed to school children. 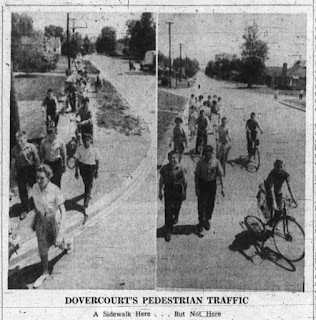 The sidewalks on the north side of Dovercourt did stop at Gainsborough at the time. So the photo at right appears to be taken with Wavell just in the background. The hot topic across Canada in 1964 was the design of the Canadian flag. Known as the Great Flag Debate, everyone had strong opinions on the subject. Well worth Googling/reading about! One such strong opinion was held by an L. U. Smith of 604 Wavell Avenue, whose letter to the editor in 1964 is symbolic of the intensity of the debate that raged throughout the country in 1964. On Friday May 17th, 1968, a 13-year old boy was killed on Wavell when he and a 14-year old friend stole a car and wrecked it on a house at the corner of Tillbury. The Cadillac was driven by the 14-year old, who after driving south down Wavell, failed to take the curve turning from Wavell to Tillbury. The car "then careened into a cement veranda at 662 Tillbury Avenue and slid sideways crashing into the side of the two-storey house." The driver suffered facial lacerations and head injuries, while the 13-year old passenger Geoffrey Cameron Field of Prince Charles Road died after he went through the front windshield. The car had been stolen on Thursday evening (the keys had been left in the ignition of a homeowner on Carling), and the accident occurred at 7:50 a.m. the next morning. In November of 1982, McKellar residents requested the 4-way stop at Dovercourt and Wavell be changed to just a two-way stop (obviously with Wavell retaining the stops signs). A petition was signed by many residents who complained that "many motorists on Dovercourt ignore them or screech to a halt, creating excessive noise", and thus the stop signs on Dovercourt should be removed. I'm not sure if the signs were ever removed, but the 4-way stop of course exists today.